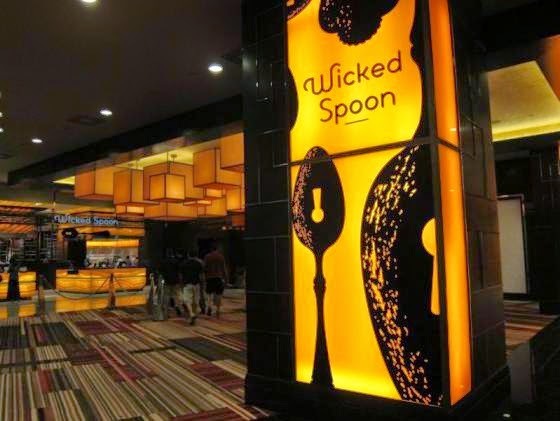 LAS VEGAS DAZE: Wicked Spoon Buffet at Cosmopolitan re-visted April 2014! Wicked Spoon Buffet at Cosmopolitan re-visted April 2014! During my April Trip to Las Vegas for the Slot Fanatic's Message Board's annual Spring Meet, I somehow ended up eating at more buffets in one trip then I usually visit in a year. I'm blaming it on Ken (CennPennTraveler), that's my story and I'm sticking with it. Anyway due to Ken (ahem) we ate breakfast at the Wicked Spoon Buffet on Thursday before leaving for tours of Bally Technologies and Aristocrat Slots. My last review of Cosmopolitan's Wicked Spoon Buffet was back in 2011 and here's a link to it in case you want to compare. Prices vary for Wicked Spoon according to what day of the week it is and which meal. We went around 9:30am or so for breakfast on a Thursday. Because I'm gold level with Cosmopolitan's Identity Player's Club we had the 2 for 1 price for the buffet plus I was able to pay for it with points from my play by just handing the cashier my Identity card and driver's license. There's a new tier for Identity called Sterling that only takes 5000 points to earn for the year and it also gets the 2 for 1 deal at the buffet. The previous morning we had breakfast at Le Village Buffet at the Paris hotel and we thought their selection of food choices was very limited and with the exception of the made to order crepes our opinion was the food quality wasn't that great. Wicked Spoon in comparison had about 4 times or more the selection of dishes and the food quality was higher. The presentation at Wicked Spoon remains as in years past with a lot of the food being plated in individual portions, which I personally prefer. 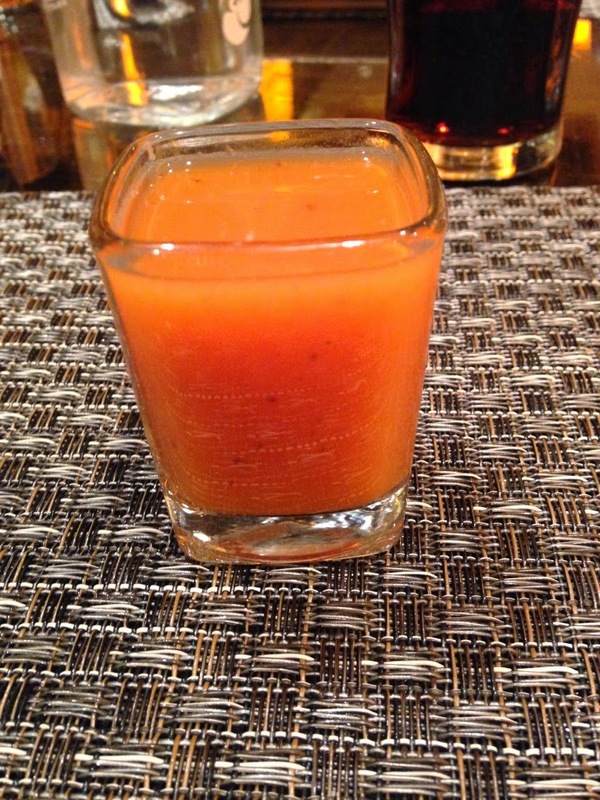 One of the stand out selections for me was the Watermelon Sriracha pictured below! So simple but very refreshing and just the right amount of spiciness, at least for me. The other dish was a panna cotta with ginger that I also liked. I'm a fan of beets so I loved their selection of multi-colored sliced beets and salad. 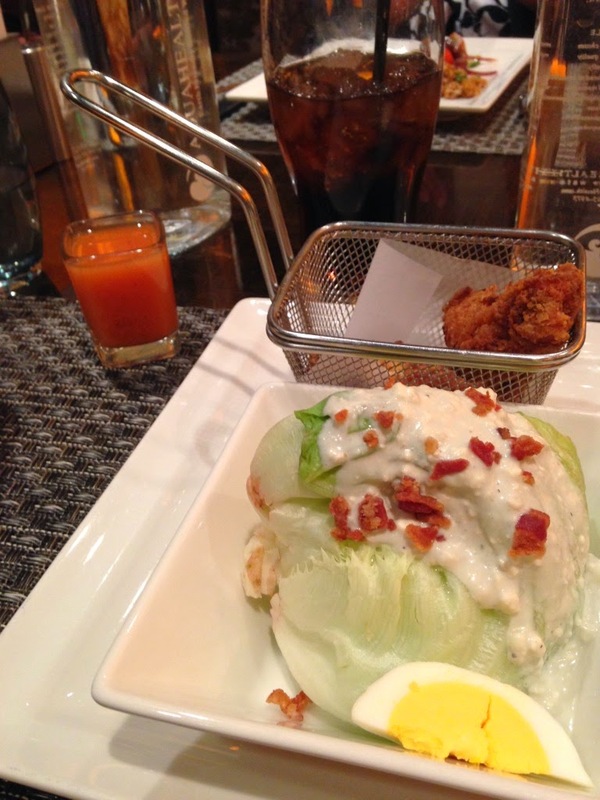 For salad lovers the selection is great and the asparagus salad is excellent. I also enjoyed the artichoke and Greek salads. There's a wide variety of ethnic foods to select from in addition to the usual buffet type dishes of fried chicken, beef, ham, and pork roasts. I'll let the photos speak for themselves since everyone's taste is different. Remember to click on the photos to enlarge them if you want close ups. Desserts! Yes, they have a selection of sugar free desserts too. There's sorbet mixed in with the gelato selections so if you like to use a palate cleanser during your meal get a couple spoonfuls of sorbet between courses! Ken really liked the fried chicken in the basket below, said it was some of the best he has eaten. Wicked juice, love the name and the juice! We were pretty full but sampled a few desserts before we left. Lately I have eaten at the Bellagio, Aria, Wynn, Paris, M Resort and Bacchanal buffets in addition to Wicked Spoon. In my opinion Bacchanal is the best all around for food choices and quality, however out of the group it's also the most expensive and during certain time periods there are long lines to get into this buffet, unless you are Total Reward members Platinum level or above. Among the rest of the buffets I would put Wicked Spoon second, both in food choices that I personally like, the quality of the food, service of the staff and ambiance of the room. Also if you can get the 2 for 1 deal or have it completely comped it definitely remains in second place for me after Bacchanal and might go into first place if I don't have enough Total Reward points to get Bacchanal comped. However if you can't get a deal on the price at Wicked Spoon and you have a Facebook MyVegas reward that gives you the Bellagio or Aria buffets for free then I would give the edge to them as those buffets are fine and free makes them better. Wynn has a lovely room for their buffet and a good variety of food and quality but I would give the edge to Wicked Spoon as Wynn's buffet is not as good in my opinion as in years past. 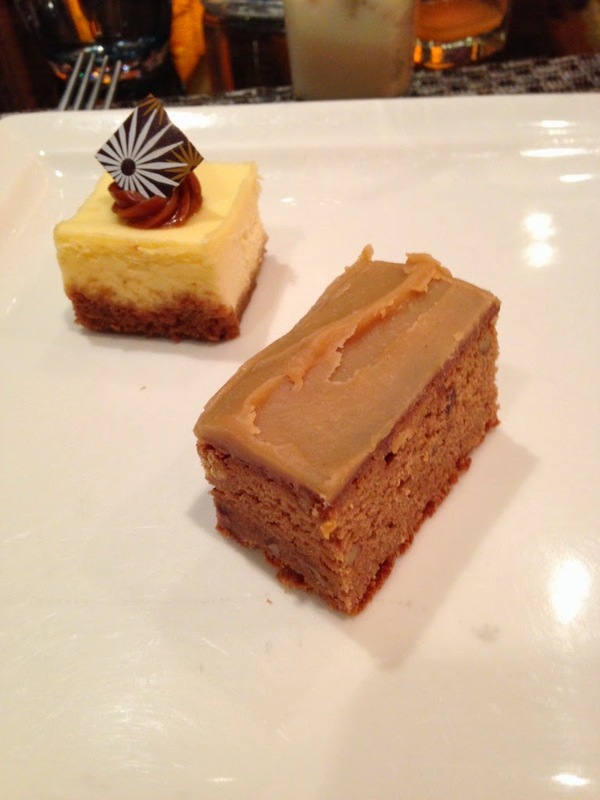 I ate at M Resort buffet this past February. It's easy enough to get this buffet comped if you play slots for a hour or two in their casino. The selection of food is good and the quality is fine, but again this isn't as great as it was in years past. It still offers free wine/beer and speciality coffees with the buffet so that might make it more appealing to some, however if you are staying on the strip I would not make a special trip to M-Resort just because you want to try their buffet. 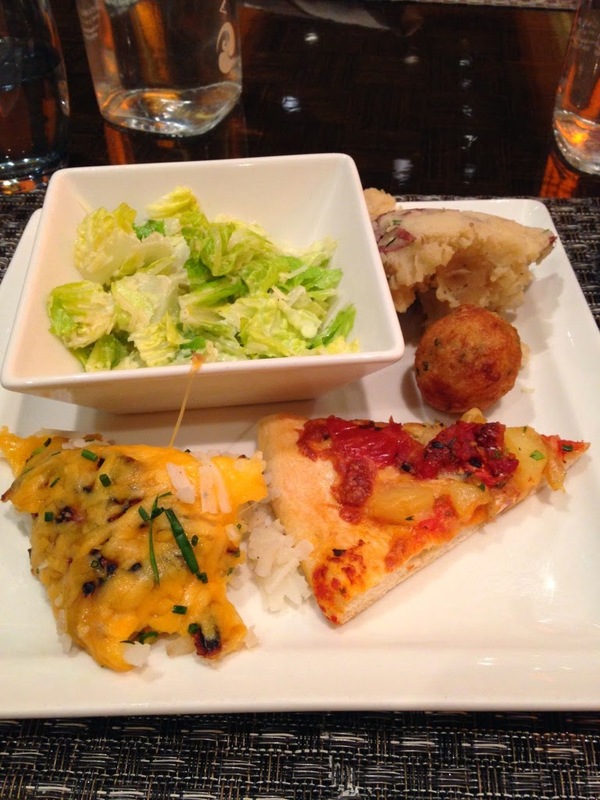 We tried the Aria and Bellagio last time and in our opinion the Aria buffet was a lot better than Bellagio. We had been to Bellagio buffet on previous trips and to be honest I think it's lagging behind some of the others now - time for a makeover! We'll want to try Bacchanal next time so good to know that it's good! Mark and Andrea, so great to hear from you! I agree with you about the Bellagio Buffet needed a update, it's certainly not as good as it was in years past. It's been about 4 months since I ate there and it was for lunch and free via myvegas on Facebook so it was okay with me. I completely agree that the Wicked Spoon Buffet is really good and that watermelon sriracha as well as the fruit smoothie shooters really hit the spot! Good luck on your trip later this month and have fun at Rose.Rabbit.Lie! I hope it's even more fun the second time around! I totally agree with your rankings of the various buffets. I really enjoy the quality and variety at Wicked Spoon. Thanks for the review - can hardly wait for my first stay at Cosmo later this month, so now I'm even more ready to go! Trying Aria Skysuites for the first time on this trip as well. Good luck to you! Cheri, you're going to love those Aria Sky Suites. I'll be in Vegas on the 28th of this month. What's your dates? Yes, really looking forward to the Skysuites. I head back home the early evening of the 28th. Perhaps we'll be passing each other at the airport? Almost passing each other on the 28th. I get in around 11am to meet a friend at Cosmo for lunch. Are you checking out of Cosmo that day or Aria? All my fault! Loved those chicken wings! My sister and I are big fans of your blog and videos. We are heading to Las Vegas the end of May and hope to run in to you. Hi Cindy, have a wonderful trip and I hope we run into each other!